I left Stevenson, AL, where the SE GTG was located, at 7:00 am with the general direction to head along the east side of the Appalachian Mountains and find a place for tonight. 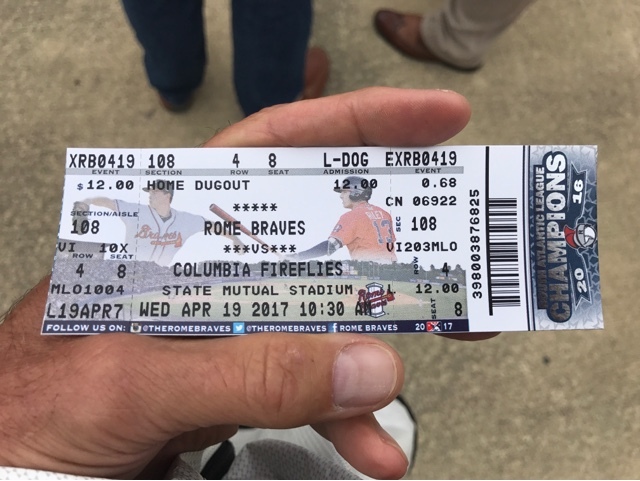 I had thought about going to a baseball game in Rome, GA, so in checking the schedule for home games I found that they had a rare 10:30 game. Having left at 7:00, an hour change going from AL to GA, and a 1.5 hour drive time, put me going past the Braves stadium just in time for the game. 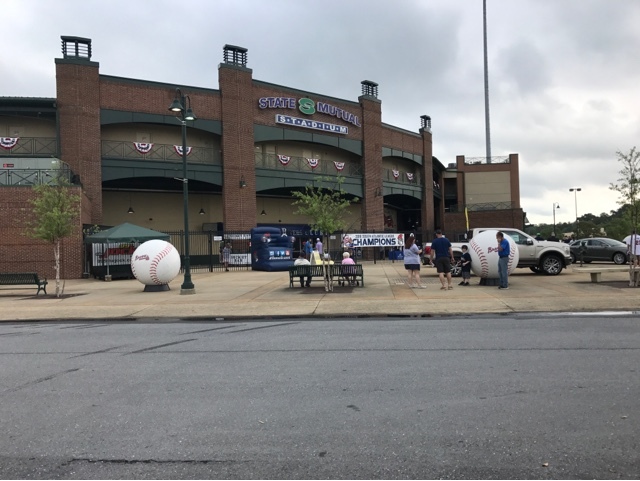 The Braves is a AAA team with home games at the State Mutual Stadium. 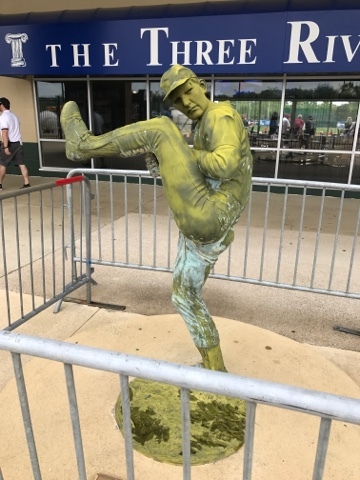 They have this nice generic baseball sculpture inside the gates before you reach the concessions. Above is a picture of my game ticket. I asked for a best available single seat. I was asked if I wanted home or visitor's side and answered I didn't mind. My ticket was for the Braves side of the field. Above gives you an idea of the midday attendance. I was given home dugout seat where fans roll balls and toss Sharpie's to the players to have them signed. 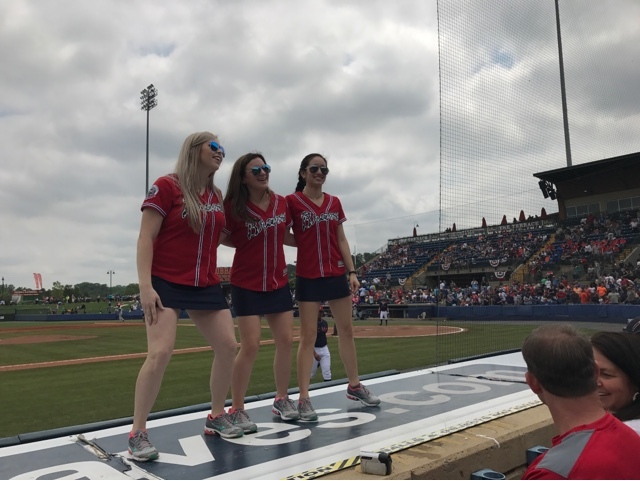 The Braves Cheerleaders do their thing on the dugout roof. 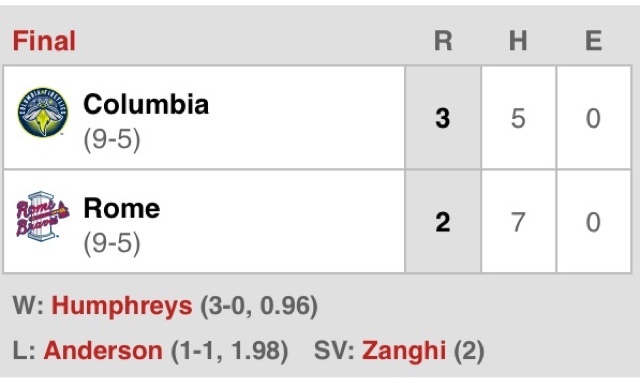 In the end it was a good game but the local boys lost to Columbia. After the game I drove northeast on Georgia highways and the in to US highways to the Great Smokey Mountains National Park. 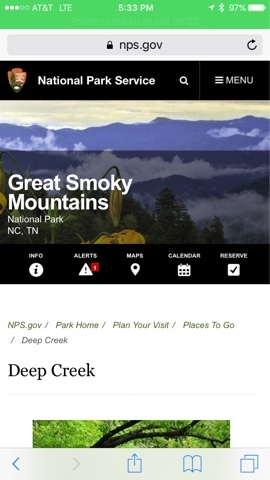 I stayed the night in Deep Creek National Park Campground in Bryson City, NC. 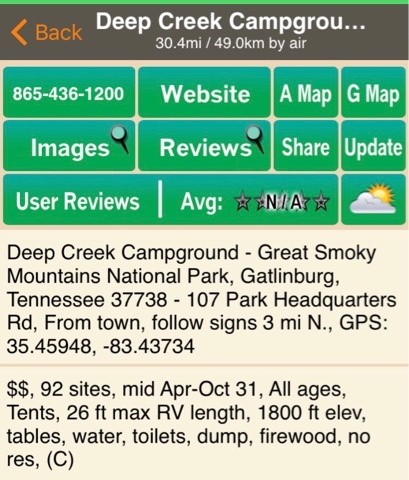 The cost of the campground is $17.00 with flush toilets and water. I paid half price ($8.50) with my Senior NP pass on an automated machine with my credit card as you do at many NP campgrounds. As usual I made dinner first and hot water for washing in the AM. Then I got a phone call from my MD son asking if I could get to his house Thursday (tomorrow) around dinner time so I could watch my two granddaughters as they had concert tickets. 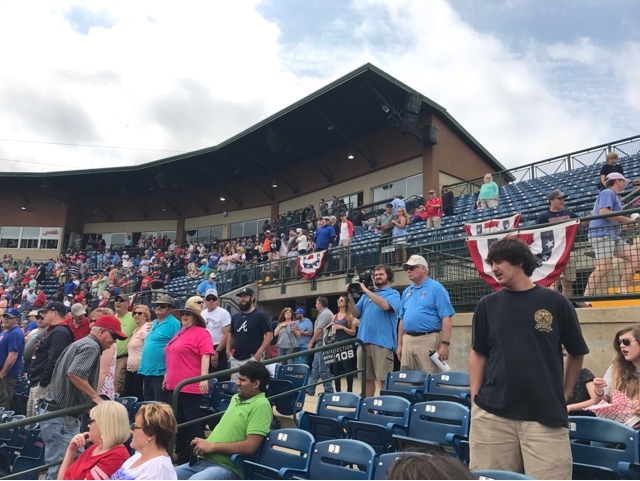 Since I had put 3.5 hours behind me this afternoon, since leaving the baseball game in Rome, GA, it only leaves me 8.5 hours of driving to get to where he lives near Baltimore. I decided to drive through tomorrow to MD and forgo the leisurely travel I started on US highways on the east side of the Appalachian Mountains. My sons and their families are important and want to visit and enjoy the granddaughters whenever I can.